August 17, 2018 Treyarch says that they are making changes to Call of Duty: Black Ops 4’s controversial body armour, in the wake of player feedback. Body armour, which is part of the new gear category in the game, drew players’ ire in the beta because it deflected all damage and essentially gave anyone using it free hits, which not only could prove devastating in the hands of experienced players – it wasn’t much fun to fight against. Now Treyarch admits that of all the new inclusions, body armour “was the most controversial,” and they’ll be making changes to it. It’s getting nerfed, basically. Damage is now just reduced by armour, rather than reflected entirely, and explosives actually shred armour – which they were apparently supposed to do in the beta, but it wasn’t working. They’ve also implemented a +25 bonus score reward if a player kills someone wearing armour. 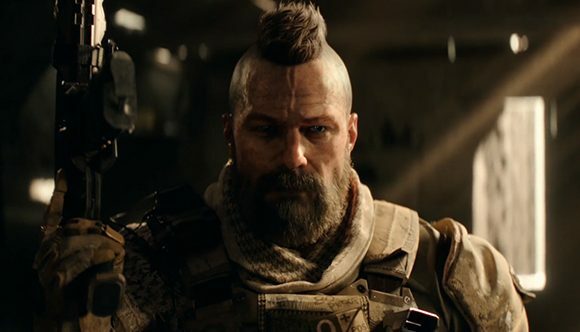 Other changes coming to Black Ops 4 in the wake of the beta include free cursor UI navigation, smoothing out the Tac-Deploy spawning system, adding loadouts to kill-cams, and making fog of war more balanced – players will no longer reveal the entire area around them, just their line-of-sight. Players of both the PS4 and PC betas reported a number of issues, and body armour was one problem in particular that drew their ire. This is available as one of the new gear upgrades in the game, and players don’t seem to like it one bit. Developer Treyarch responded to these concerns on Reddit, but while it acknowledged that body armour “can feel frustrating to fight against” they said at the time that they would not be changing it or removing it. A search of the Black Ops 4 Reddit highlights a number of threads for players who were frustrated by the inclusion of body armour. Jengaman64 compared it to the Juggernaut increased health perk last seen in World At War, as does KingOfTheNorth13, who also rather politely called it “a nuisance.” Players like wearedefiance called it “really unfair”, although they did also acknowledge that players need to sacrifices other bonuses in order to carry it.